Engagement, Community Building and Social Media — It's Up to YOU! Lately, I have been doing a little "gardening" on my Steemit "following" list. There are a lot of people I follow that seem to have become inactive; they've pretty much powered down 100% and have gone from the community. Which makes me sad, because pretty much all the people I choose to follow, I follow because I enjoyed their content. Behold! A "Community" of Ducks! Because I've been looking at a lot of accounts... another thing I find interesting is the way there are people here who have been actively posting for a couple of years, and yet? They don't really seem to have any kind of following. They still create decent posts like they did in the past... and yet they get a handful of votes and end up with a 3-cent reward. What's more, they have quite high reputations. Of course, a little poking around soon reveals what's going on. And subsequently points to the functional dynamics of our community, as they stand apart from "wishful thinking" and "theory." The "high reputations" were often built as a result of these folks — and let's not forget, the did create decent content — going through a period where they invested heavily in Bid Bot upvotes so they had a string of $50 or $100 posts for weeks or months... and I guess then stopped. Which goes to show that the whole "looking like you're experienced and reputable" idea doesn't get you a damn thing, unless you back it up with some substance of your own. Which leads me to part two: The importance of engaging and nurturing your community of followers. The folks — again good people — make post, after post, after post... and just leave them there without making any effort to visit and engage with other people's content, or leave comments, or upvotes, or upvote comments on the dwindling responses to their content. If you're part of a SOCIAL platform of some kind, you have to be social. People aren't just going to think you're the Second Coming of Christ just because you show up and start posting. You're just not that interesting or important! Peripherally Community Related: Have YOU Voted in the @theycallmedan Community Delegation Poll? By now, you have probably been more or less bombarded with posts about the major contest and poll going on among Steemit Community organizations to win a year-long 20,000SP delegation from @theycallmedan. There are various and worthy communities rallying for votes. Why should YOU vote? Because these organizations represent a substantial part of the very infrastructure that holds the content and community end of the entire Steem ecosystem together. Between them, they create a substantial part of the activity here. Your vote *matters" because we can't sit around and complain about how "nobody does anything" to build community, create and curate content...and then ignore the efforts of those who are out there busting their butts doing precisely that! 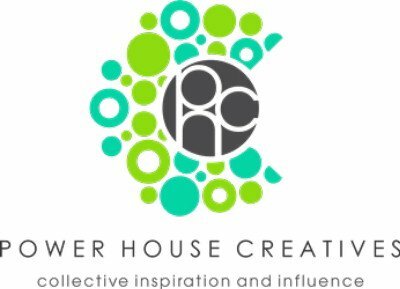 I happen to support @steemitbloggers aka "Power House Creatives," which is basically a small but very dedicated group with a HUGE community outreach. I believe they are worthy here, because their efforts aren't just about a circular "let's support each other" game of nepotism; it's about supporting the whole community, and helping to give promising newcomers here more of a voice. I hope you'll consider supporting their efforts, too! Worth considering is the fact that @steemitbloggers is supported by a number of other community groups, in this poll! You don't have to be a "member" of any of these organizations to vote... just go to the poll page on dPoll, log in via SteemConnect and cast your vote! If you choose @steemitbloggers, thanks in advance for the support! I guess my impression when I joined this site was that it was more of a blogging site and less of a social network. I didn’t realize that success here is 99% networking and 1% quality of your content. Ok maybe not that skewed, but pretty lopsided. This is fine! I am not complaining. I am just saying that I when I joined I was under the impression that it was a viable approach to just write quality content, not “engage”, and still be successful. Admittedly, I had a similar impression @dollarsandsense. That said, last go around I built a successful blog, it was on the back of interaction, too... I was "visible" in 100's or related niche forums and groups, and an active commenter on similar blogs of quality... eventually had a following of about 18K, which regularly meant 3-4K page views on a new post. I think it’s probably the same in any creative industry. When you are just starting out, whether as a blogger, musician, stand up comic, or painter, you need to engage with your audience or you probably won’t go anywhere. I've noticed a definite lack of engagement on Steemit compared To Facebook. Back in the day I'd make a post on facebook and there would be a many as a thousand comments. Cross talk...people would 'talk' to each other. I'd be involved but I by no means had to 'carry the load'. Too bad Steemit isn't like that. "Nice Post...plz vote for me." Yeah, and the "social" here has increasingly taken a back seat to "milking the system for money" here. There are definitely aspects of Facebook that work better than Steemit. FaceBook was just fine until after the 2016 elections. Thank you so much for showing and describing the roles how to be a good steemian.. Such a great message. I get sad whem Steem friends leave me and move on too. We all really feel happiy whem people engage with us by commenting and reading our posts. Great bird pictures, too. I literally have no outside the house social life, so steemit, weku, Discord and SMOKE.io are my outlets. I love to read others' posts and learn something new.